MELBOURNE, FL October 6, 2017 – The National Association of Professional Background Screeners (NAPBS®) Background Screening Credentialing Council (BSCC) announced that Edge Information Management has successfully demonstrated continued compliance with the Background Screening Agency Accreditation Program (BSAAP) and is recognized as BSCC-Accredited. conducted by an independent auditing firm, of its policies and procedures as they relate to six critical areas: consumer protection, legal compliance, client education, product standards, service standards, and general business practices. Any U.S.-based employment screening organization is eligible to apply for accreditation. A copy of the standard, the policies and procedures, and measurements is available at www.napbs.com. Founded in 2003 as a not-for-profit trade association, the National Association of Professional Background Screeners (NAPBS) represents the interests of more than 800 member companies around the world that offer tenant, employment and background screening. NAPBS provides relevant programs and training aimed at empowering members to better serve clients and maintain standards of excellence in the background screening industry, and presents a unified voice in the development of national, state and local regulations. There are 1,872 background screening companies in the United States. There are 930 background screening company members of NAPBS. 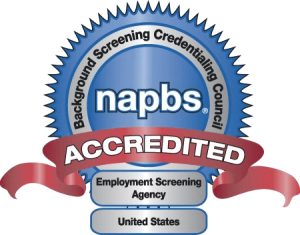 There are 109 accredited background screening companies with NAPBS. For more information, visit www.napbs.com. Melbourne, Florida, February 22, 2019 —Edge Information Management, a nationwide provider of employment screening services including accurate background screening, drug testing, and electronic i9/e-Verify services, announced today that it has recently completed its Service Organization Controls 2 (SOC 2) examination for the period of July through December 2018. The analysis was performed under AT-C 105 and AT-C 205 guidelines by an independent auditing firm. Completion of the SOC 2 examination indicates that selected Edge Information Management processes, procedures and controls have been formally evaluated by an independent accounting and auditing firm. The examination included the company’s controls related to the Trust Services Principles and Criteria of Security and Availability. A SOC 2 examination is performed in accordance to AICPA attestation standards. SOC 2 is designated as an acceptable method for a user entity’s management to obtain assurance about service organization internal controls over Security, Confidentiality, and Privacy without conducting additional assessments. 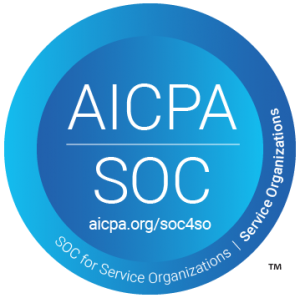 A SOC 2 examination is widely recognized, because it represents that a service organization has been through an evaluation of their activities as they relate to the applicable Trust Services Principles and Criteria. A Type II report includes the service organization’s system description, as well as a detailed testing of the operating effectiveness of the service organization’s controls throughout the specified period. Edge Information Management, Inc., (Edge) an international provider of employment screening services, was incorporated in 1991 by a group of professionals with experience in the field of business, information technology and private investigations.